$298. 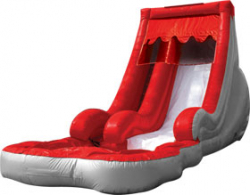 This towering Volcano slide with is sure to attract attention at your next big celebration. No need to climb a mountain, this lava-filled dry slide takes riders up a 15-foot climb, and turns them under the "lava" top. Riders cruise past the wave-shaped walls to land at the bottom. For an upgrade, the detachable pool option allows this slide to go from dry to wet in an instant. 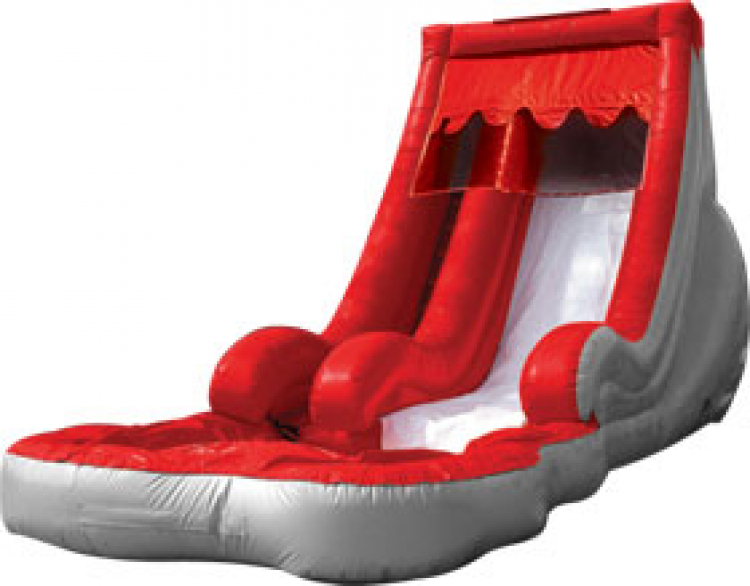 This silver and red wet/dry slide will bring guests right to the Volcano's edge!